Parks officials say the American elm tree was “well over” 100 years old and may date back to the first plantings in the Park Blocks in 1879. 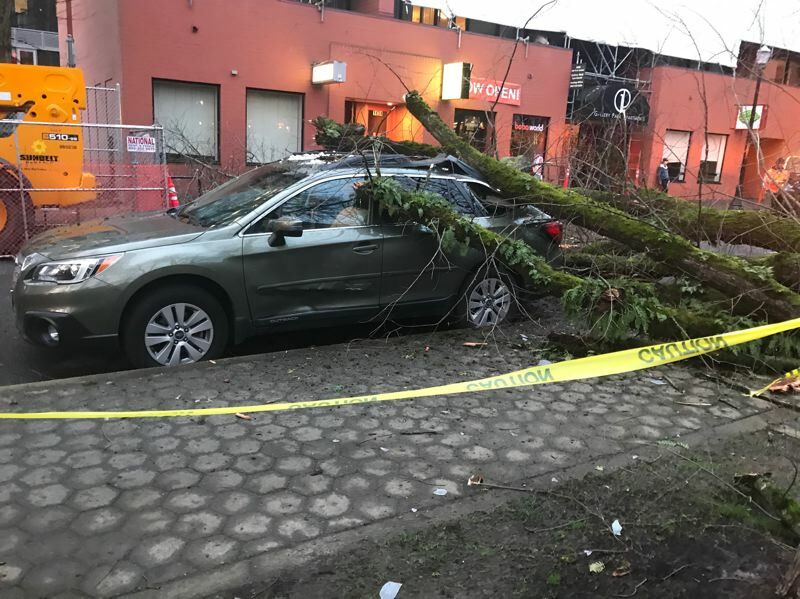 Yes, that'll set your car alarm off; winds, rain, snow, and ice - all of which we've had here over the weekend - will drop trees. This one fell onto a couple of cars, reinforcing my long-held belief that trees don't particularly like cars. And just because the city calls them the Park Blocks doesn't mean you should park there. This sort of thing happens around there on just about an annual basis.